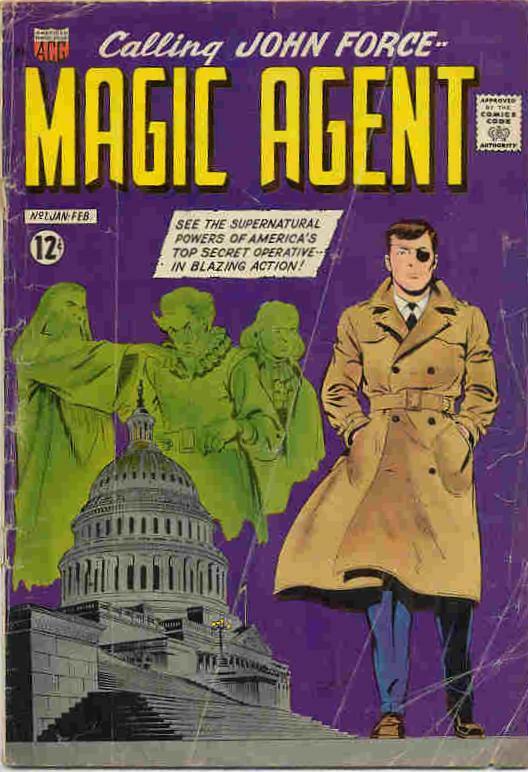 Fred Iger works for Robert Maxwell on the Superman radio program before going into the army. Ben Sangor opens up a comic shop targetted to getting work in comic books for moonlighting animation artists working for the Fleisher Studios. 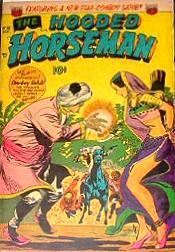 Richard Hughes (Leo Rosenbaum) was the editorial director. Material was supplied to Pines, DC, Rural Home and LaSalle. 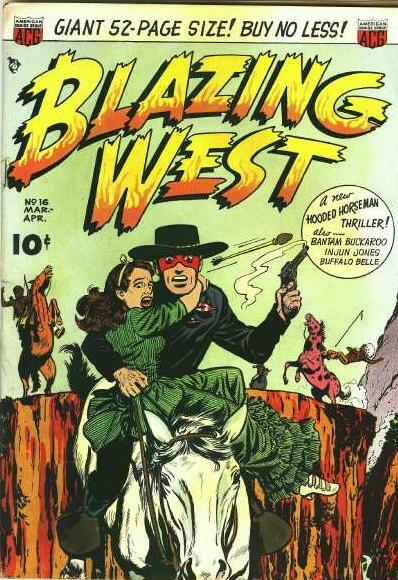 Among the features created were the Black Terror by Richard Hughes and Dave Gabrielson and Fighting Yank by Hughes and Jon Blummer both featured in Ned Pines' Nedor Comics line. Ned Pines was Ben Sangor's son-in-law. May Richard Hughes creates Fighting Yank for Pines' Startling Stories. Feb Richard Hughes creates theBlack Terror for Pines' America's Best Comics. Oct Pines' Coo Coo Comics debuts featuring Richard Hughes' Super Mouse. 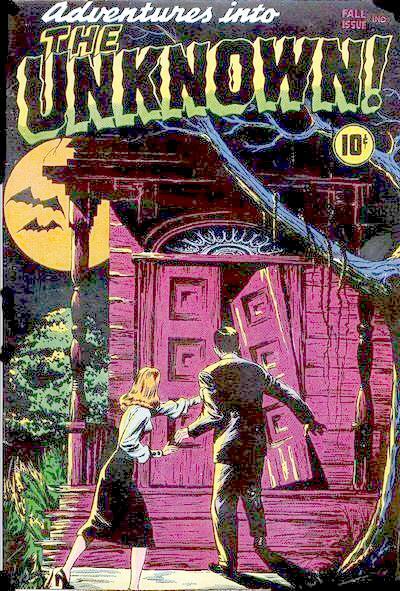 Oct Ben Sangor decides to use the shop to publish his own comics under the Creston Publishing Co label, with Gerald and Andrew Albert as co-owners. They apparently have the paper allotment. He gets funding from his old Gin Rummy partner, Harry Donenfeld. Ha Ha and Giggle are their first titles. Eventually there would be many companies: including Creston, Michel, B & I and Best Syndicated Features. All would be distributed by Donenfeld's Independent News. Gerald and Andrew Albert sell their interest in Creston to Harry Donenfeld (says Michael Vance). Editor Richard Hughes begins soliciting material from a west coast group of animators headed by Jim Davis. These same animators are supplying strips to DC. Mar The Duke and the Dope begins in Giggle Comics 6. Jun Superkatt by Dan Gordon begins in Giggle Comics 9. 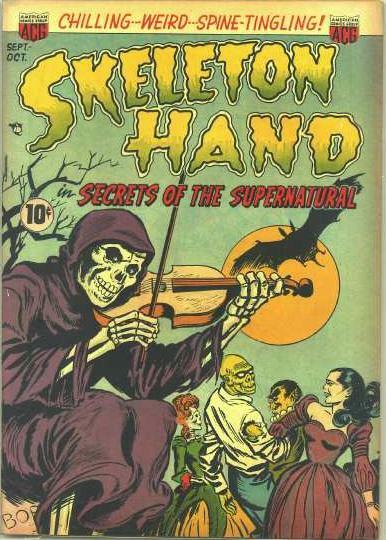 Also a Columbia Pictures cartoon series, although the only one I know of was made in 1947. That's Superkatt on the cover of Giggle 26 to the right. 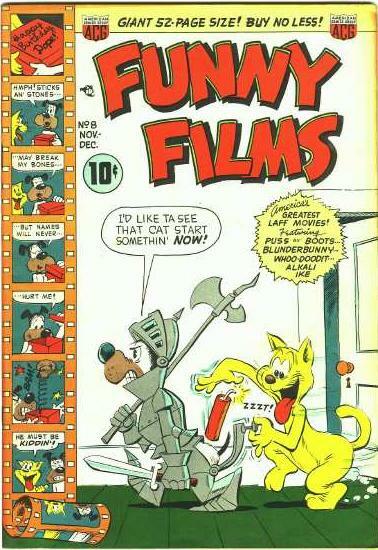 Spr National offers Real Screen Comics, featuring the Columbia Animated Characters Fox and Crow. The material is provided by Creston's California shop headed by Jim Davis. Fox and Crow is drawn by its creator Bob Wickersham. Hubie Karp is the main writer. 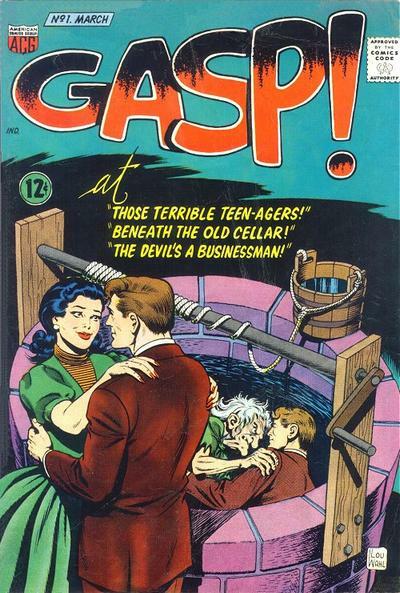 May R. B Lefingwell's Topsy Turvy features the first appearance of Dan Gordon's Cookie. It is unclear as to whether this should count as an ACG title. 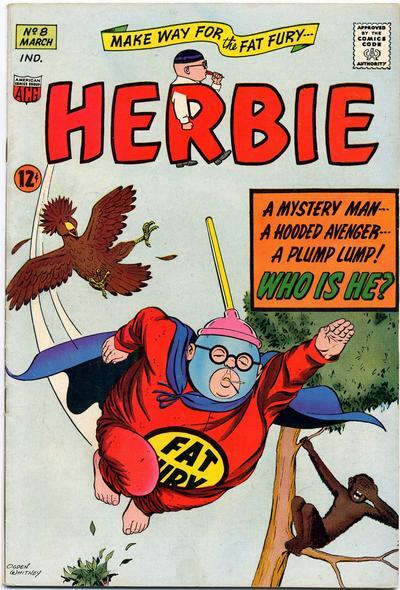 Lefingwell was a "surrogate publisher" of comics only insofar as he had a war paper allotment that he could allocate for another publisher's use. 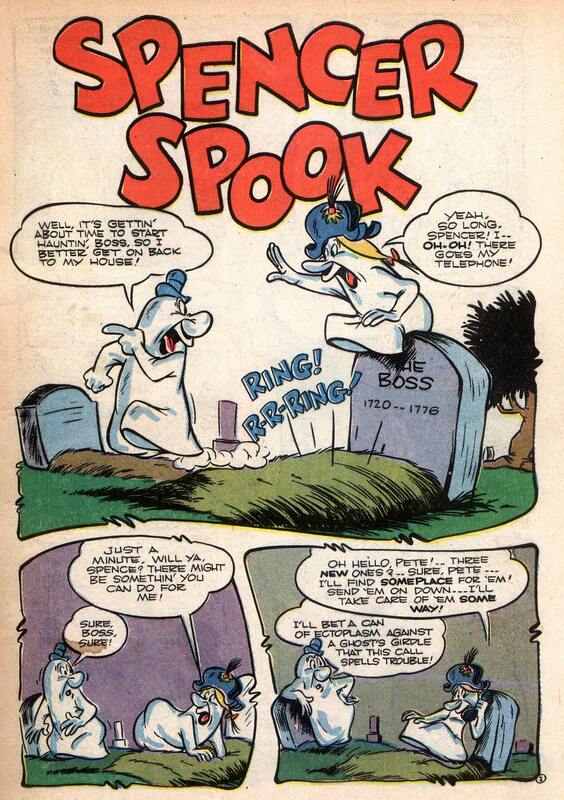 Aug First appearance Spencer Spook in Giggle Comics 21. by Hubie Karp and Ken Champin according to Ron Frantz. Fred Iger marries Sonia Donenfeld. He becomes business manager of American Comics Group. Apr Cookie begins in his own comic from Michel (a Sangor Company). 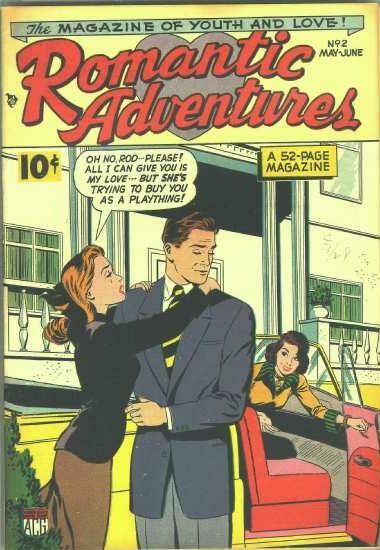 55 issues. May TeePee Tim begins in Ha Ha 41. 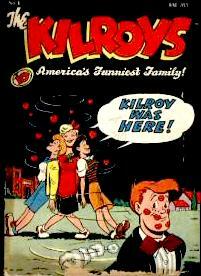 Jun The Kilroys 54 issues- advertised in National titles. Jul Hi-Jinx, a teen age funny animal comic, begins. 7 issues. Sangor stops acting as a shop for other publishers. . ACG purchases its art directly from the artists. Former middle- man, Jim Davis, goes to work directly for National, drawing Fox and Crow. Business Manager Fred Iger buys into the companies' ownership (per Steve Rowe). Feb American Comics Group bullet begins appearing on covers. 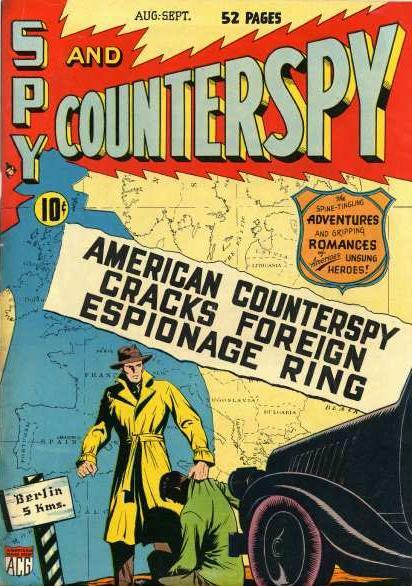 Aug Spy and Counterspy #1 features Jonathan Kent, Counterspy. Sep Funny Films- 29 issues. Featuring Puss An Boots, Blunderbunny, Who Doodit and Alkali Ike. 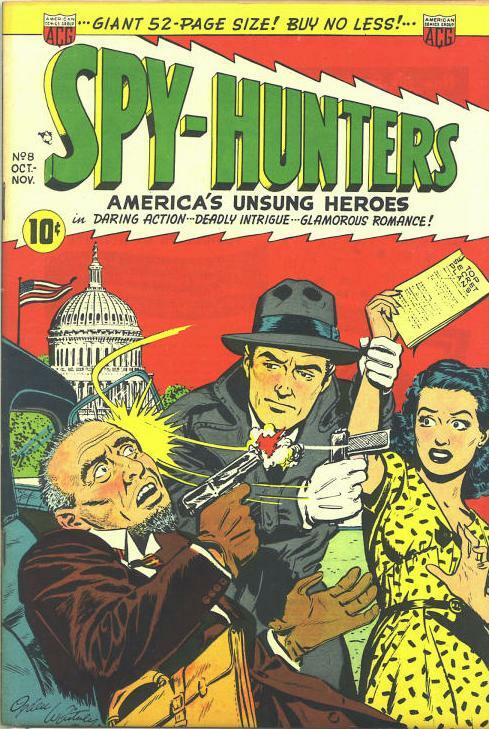 Dec Spy Hunters #3 -24, formerly Spy and Counter-Spy. 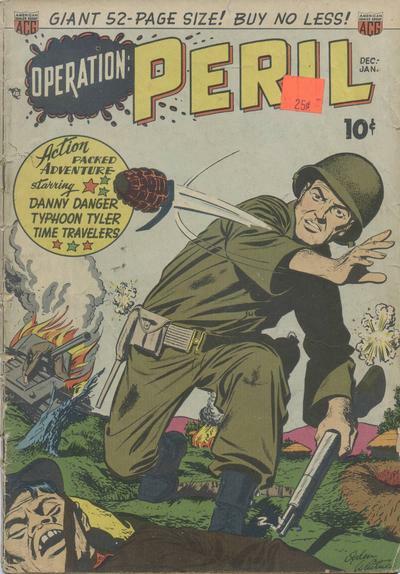 Oct Operation Peril- 16 issues. Features the Time Travelers, Danny Danger by Leonard Starr and Typhoon Tyler. 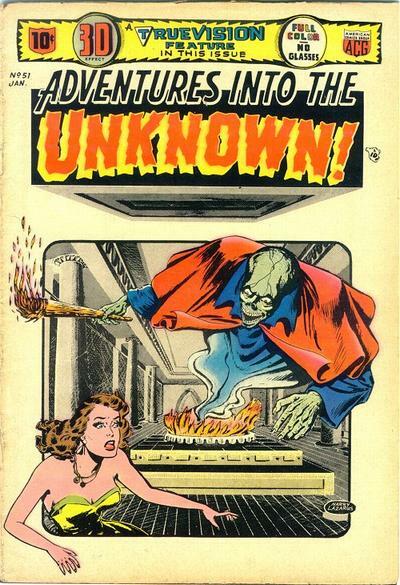 Jun Leonard Furman becomes assistant editor and writer as recorded in Adv into the Unknown 20. First story 'The Raven Sisters". 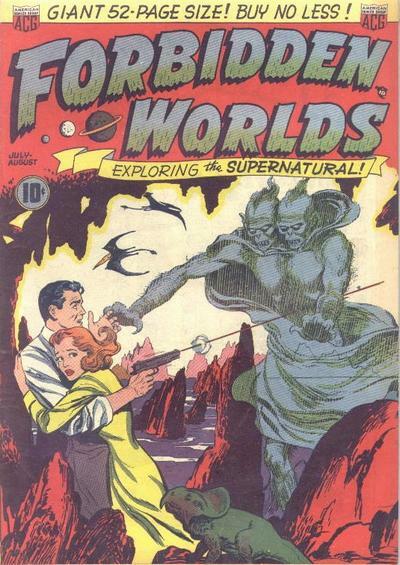 (appears in Out of the Night 3) Furman continued to work for them until Fall 1957. 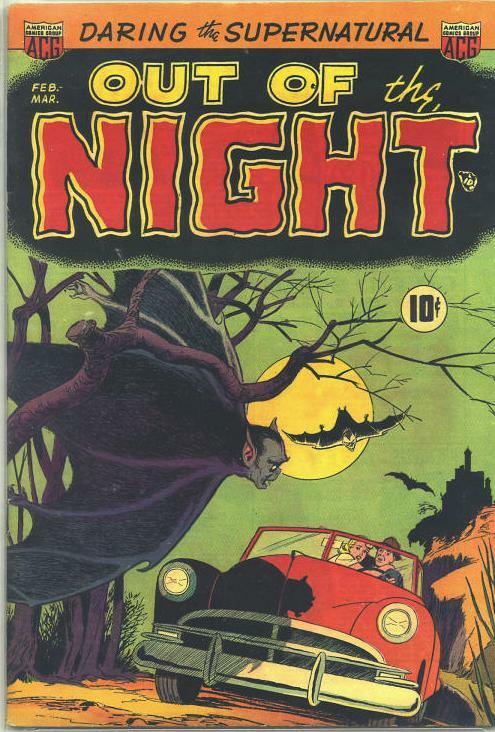 Feb Out of the Night - 17 issues. 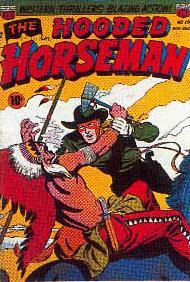 Hooded Horseman 21-27 (formerly Blazing West) featured work by Ogden Whitney and Leonard Starr. Sep Dizzy Dames- with covers by Ogden Whitney. 6 issues. Introducing Moronica by Owen Fitzgerald, Knothead Nancy by Lynn Karp, and Screwball Sal by Brown and Gantz. Ben Sangor dies. Frances Sangor, his widow, is listed as co-owner for the next year. 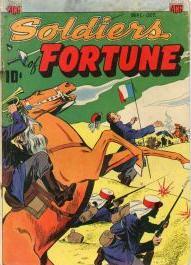 Creston Publications, Inc., 45 West 45th Street, New York, N. Y.: Giggle Comics, Ha Ha Comics, Soldiers of Fortune. Jan Hooded Horseman 18-20 (formerly Out of the Night). Adventures into the Unknown 51 introduces a fake 3-D effect called TrueVision. 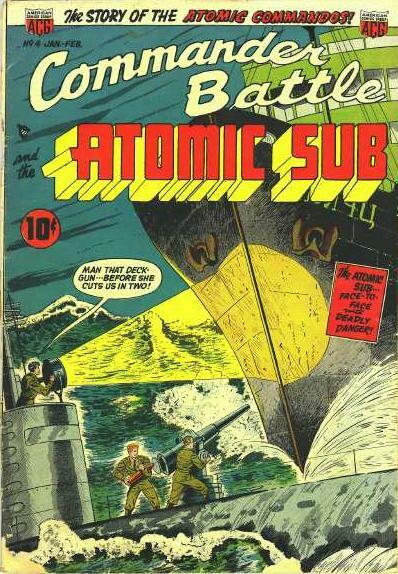 Jul Commander Battle and the Atomic Sub- 7 issues by Kenneth Landau. 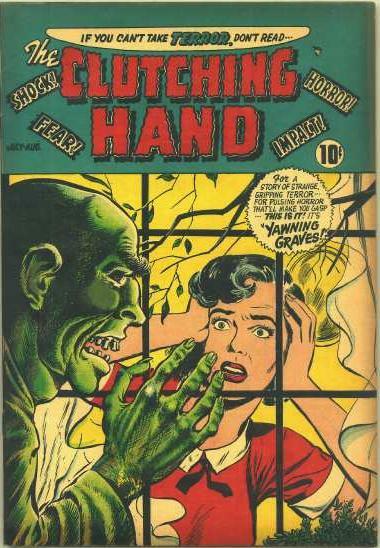 The Clutching Hand- one issue. Aug Last TrueVision Adventures into the Unknown. cc Harry Donenfeld and Fred Iger buy out Frances Sangor's share of the company (per Steve Rowe). 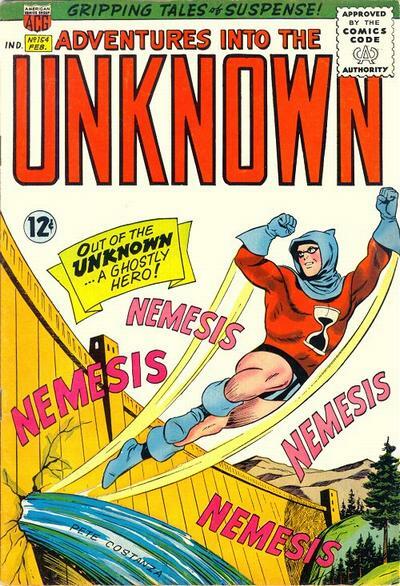 Jun Adv into the Unknown 63 returns, now with Comics Code approval. Richard Hughes becomes sole writer for ACG, using hoards of pseudonyms, fake pictures and fake biographies to give the impression of a large staff of contributors. Only one story after this date is known not to actually have been written by Hughes. 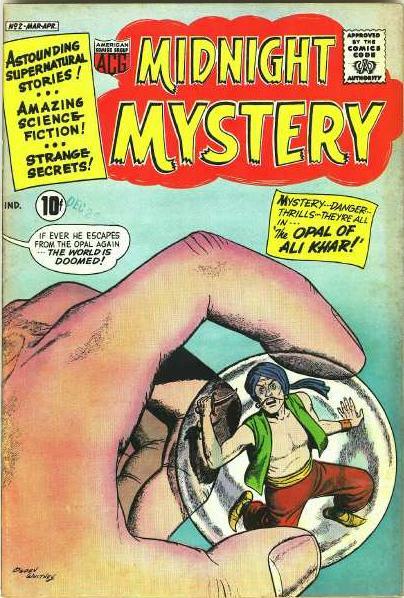 Dec "Herbie's Quiet Saturday Afternoon" appears in Forbidden Worlds 73, by Richard Hughes (Shane O'Shea) and Ogden Whitney. 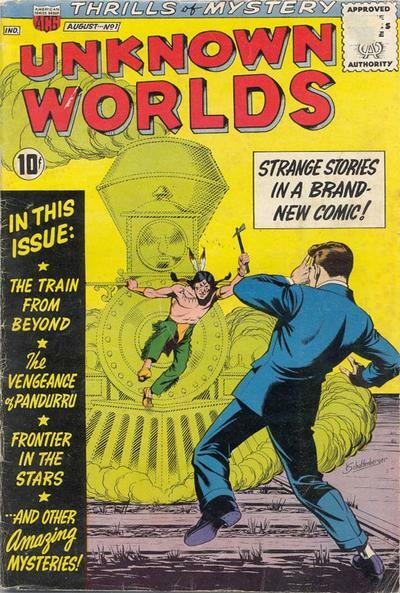 Dec Herbie appears in "1000 Years Ago in 1962" in Unknown Worlds 20. Somewhere around here Fred Iger and Sonia Donnefeld get a divorce and Fred later marries Irwin Donenfeld's, ex-wife Arlene. 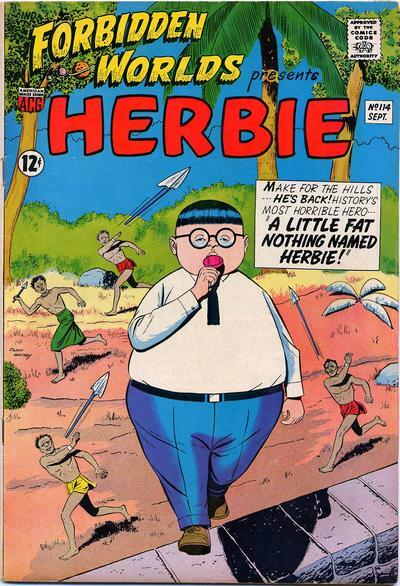 Apr Herbie gets his own comic. 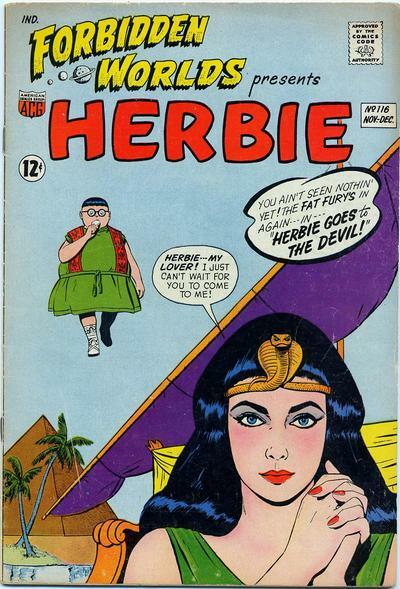 Herbie went on to win Comics Fandom's Alley Award as Best Humor Comic of 1964 and 1965. February, 1965 Harry Donenfeld dies after a long illness. 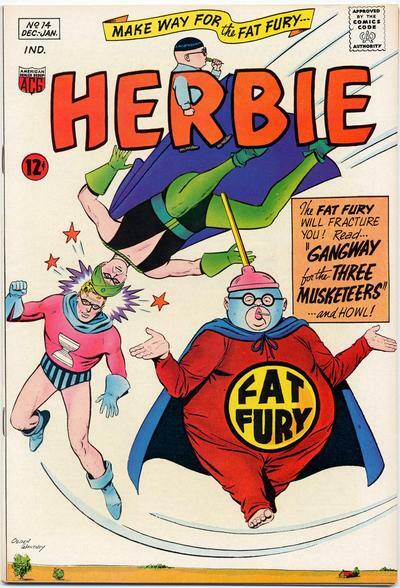 Mar Herbie becomes a super-hero in "Make Way for the Fat Fury." 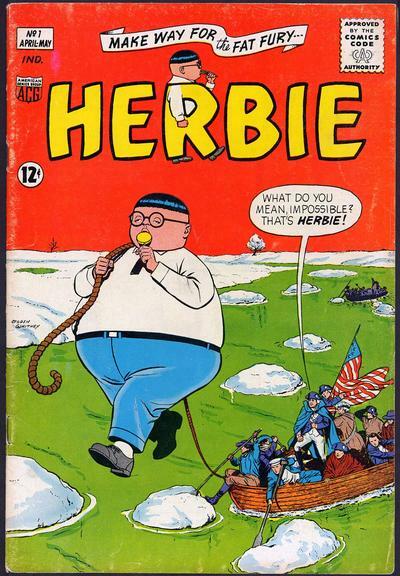 Herbie 8. 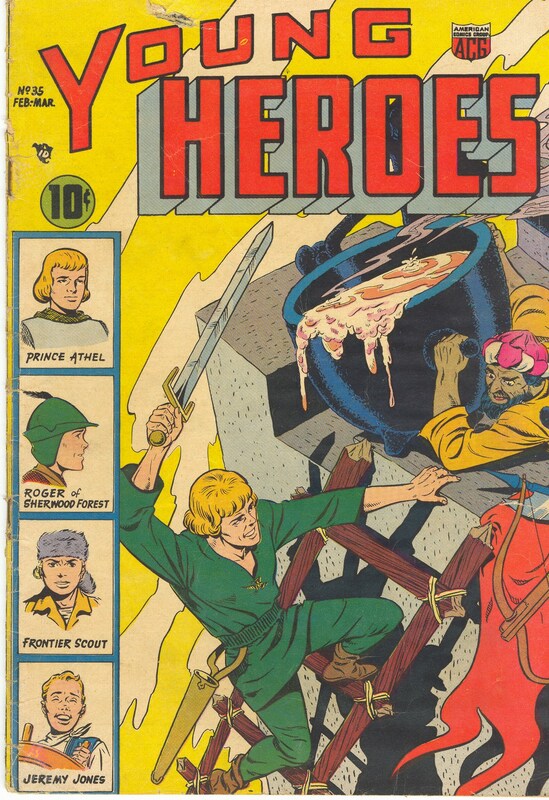 Dec ACG's three "heroes" "team-up" for the only time in Herbie 14. Sonia Iger now listed as Sonia Mondschein on National's Statements of Ownership. 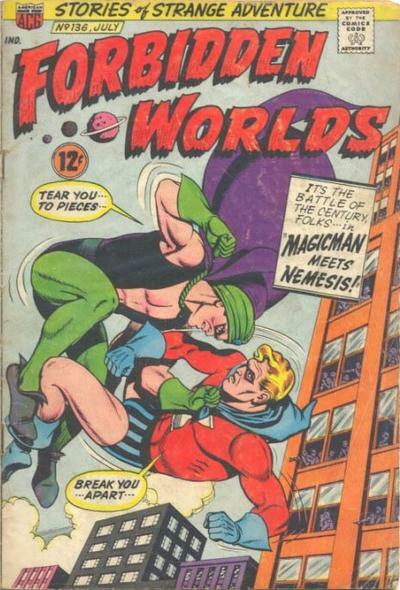 Jul Nemesis meets Magicman in Forbidden Worlds 136. Of course they already met six months ago. Sep Last Nemesis in Adv into the Unknown 168. 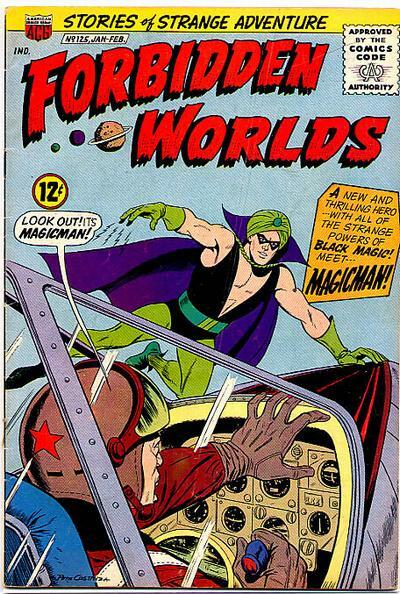 Last Magicman in Forbidden Worlds 138. Last Adventures into the Unknown 174.